Do you sometimes long to find the words to speak from your heart without blame or defensiveness? Do you fear others’ judgments, reactions or greater separation? Learn a four-step process to share your honesty in ways most likely to be heard and valued. You will also be shown ways to deeply listen, to hear and understand what needs are truly being expressed, when in a difficult situation. This is a basic introduction to the work of Marshall B. Rosenberg, PhD. The quality of our lives and of our relationships, depend on the quality of our communication. Increase clarity, connection, and compassion in yourself and in your relationships through a day of deepening and honing the skills in Nonviolent Communication. Join us for a full day of fun and learning. There are places nearby for a lunch break or you can bring a lunch. Payment arrangements can be made, if needed. No one will be turned away for lack of funds. As we often get requests, if you would like to make an additional donation to provide scholarships for those without funds, your support would greatly be appreciated. 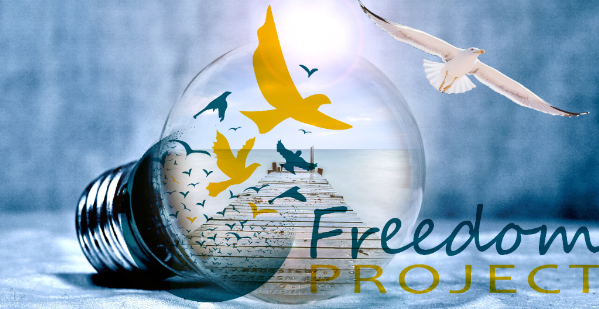 Returnees are always free at Freedom Project programs. For more information or to register, please contact Janice Eng at 206-706-1895 or janice.eng2@gmail.com. Facilitated by Freedom Project trainers Janice Eng and Eric Tucker, who have facilitated communication workshops in Washington State prisons and in the community for over ten years.